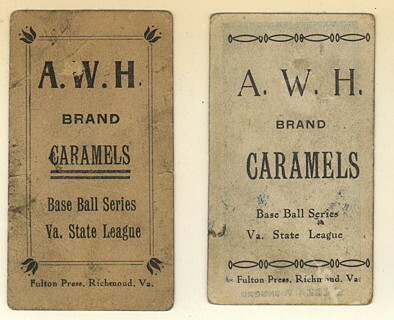 This rare set of cards picturing players from the Virginia League was issued by the A.W.H. 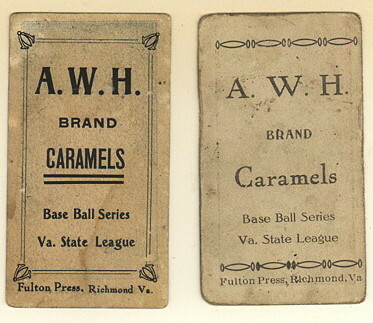 Caramel Company in 1910. 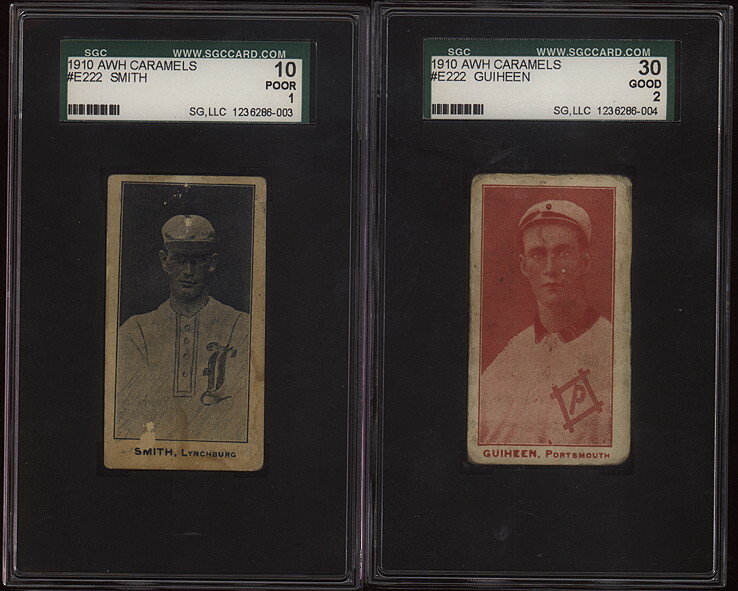 The cards measure 1-1/2" X 2-3/4" and feature player portraits in either red, black, brown or blue duotones. Examples of 12 different cards have been found. 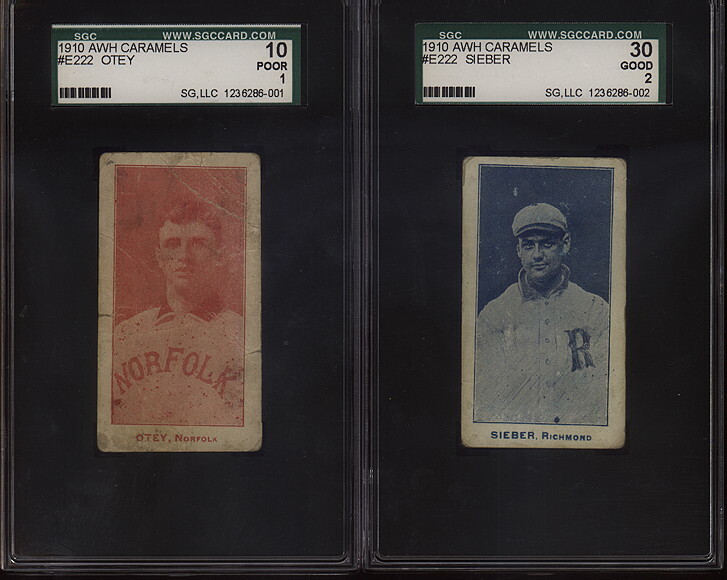 It appears they were printed often in small quantities as the type and font ect. on the back along with the ornate designs varies greatly, indicating the type was reset often.